This place is absolutely stunning. for you to enjoy the place more try to convince your guide or the boat owner to leave at 8 AM because this place is at its best without the tourists! The “snake” is a narrow sandbar between two islands, and the color of the water is unbelievable. There are also good views from a short walk up the hill. One of the few places with Restrooms. Again the colors of the water were amazing. Great place for lunch. Philippine's are full of surprises every day. You can reach the big lagoon by boat than you'll walk in the lagoon, water is shallow most of it. The lagoon is absolutely stunning! Try to hire a kayak to explore it which was so worth it! 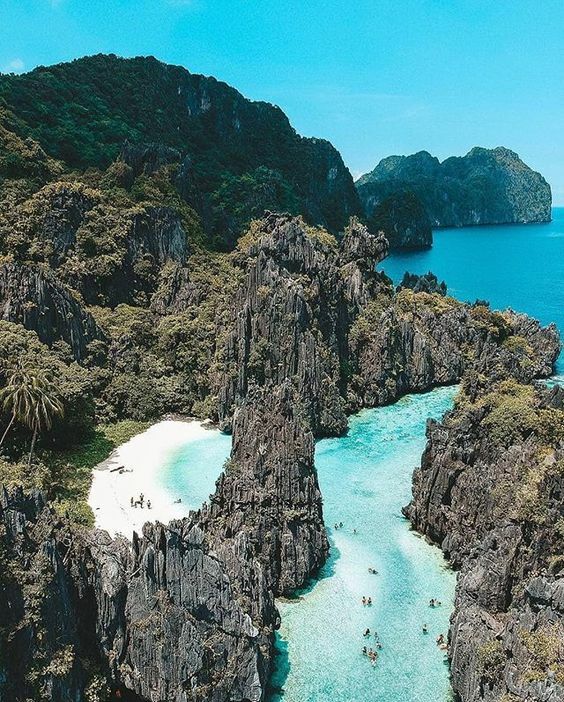 You could snorkel/swim the area which is great as there is a lot of marine life but you can’t get nearly as far to explore with snorkeling as you can kayaking. And for your safety, you must/ should try to hire aqua shoes as it is quite rocky in some areas and there is A LOT of sea urchins. Enjoy the paradise. You already know about how "hidden" is this beach before you get there, nevertheless the water is calm also on a windy day, you can relax and have time to read a book. Out of nowhere, this huge beach appears when you wade through the waves to reach this place. Beautiful beach and one can spot some fishes as well while snorkeling here. Take in consideration weather and sea waves since you need to swim a couple of meters to get there and if the weather is good you can easily access it. If not you might need to be a good swimmer. 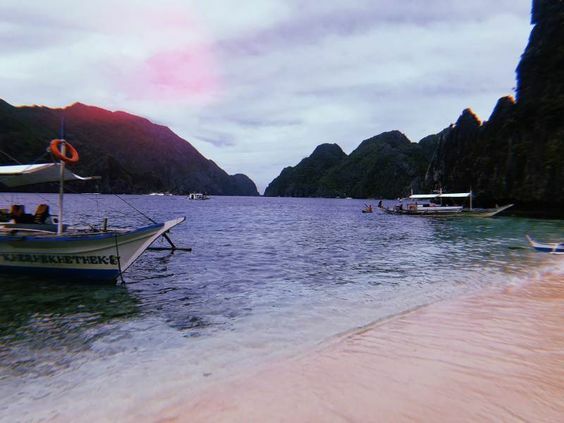 Matinloc Island is one of the many beautiful islands around El Nido. Crystal clear water and a nice sandy beach, surrounded by dark rocks with some vegetation. Some plants and palm trees planted by humans complete the beautiful picture visitors enjoy at Hidden Beach. It does have a strange shrine on it, but also great views from the top of the hill and a beautiful swimming spot at the back. This beach has super soft sand, is nice and quiet, with only a handful of guests visiting. Some really great coral and fish to see when snorkeling at this beach. The corals weren’t great, but there were lots of fish. And the beach was wonderful. Entalula island is simply majestic. It was very relaxing to eat sitting in white fine sand and looking at the turquoise blue water. I was really amazed by how white and find the sand is. 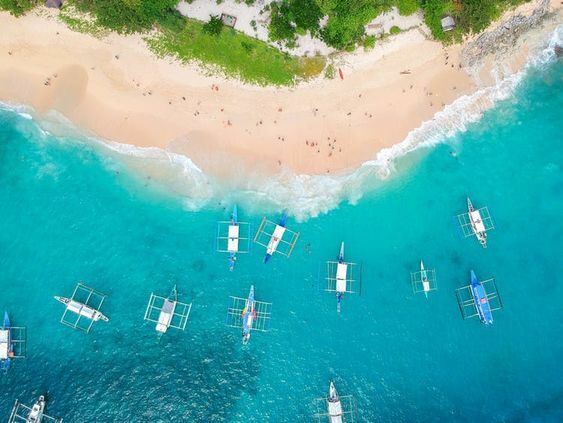 you can even compare it to Boracay. The beach is impressive and long and has some good coral around the cliffs of the "helicopter tail" on the western end. Often the last stop on the group tours, but there’s enough white sand for everyone. Interesting snorkeling. 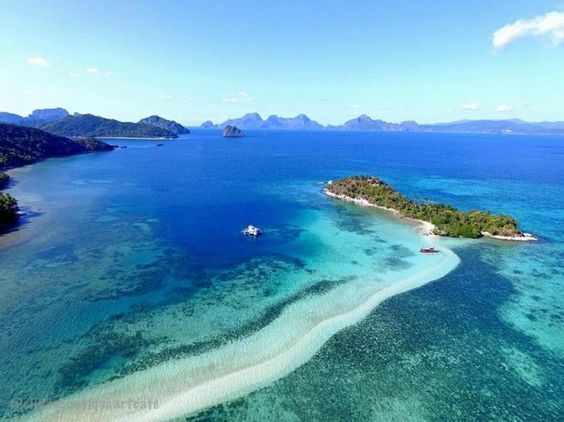 Dilumacad Island is a 20-minute ride from El Nido town. It's also known as "Helicopter Island" due to its helicopter-like shape when viewed from afar. The island is home to a long, dazzling white sand beach that beckons to picnickers and snorkelers. The Island was nice, but the corals were all dead and it’s therefore somewhere you can easily miss out to get ahead of the crowds. It is a lovely place to relax under the coconuts or just swim, especially if you are lucky to do it while it is not crowded. Beautiful beach with crystal clear water and plenty of palm trees. Sometimes it gets too crowded due to the tours but it's a really nice place to swim and spend some good time with friends, couples, and family. A very good place to visit. The beach was good for swimming. 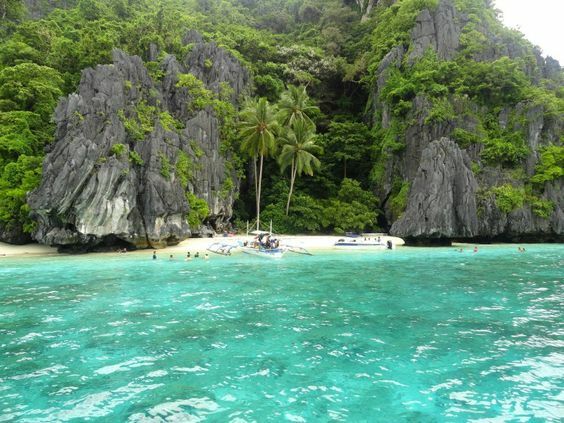 This is one of my favorite islets in El Nido. It is characterized by lovely rock formations, natural garden, small cave-like structures along the beach, and so forth. 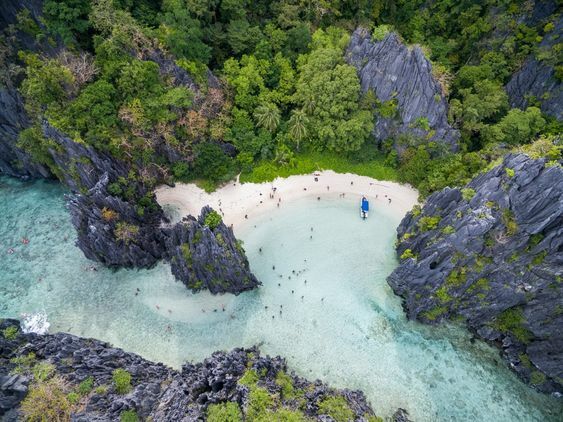 Visiting this island is usually part of a day island hopping tour in El Nido. An absolutely gorgeous stretch of beach with crystal clear waters and white sands. Our private boat tour stopped here for lunch which we washed down with a bukhorhum (fresh coconut and rum) for 150 pesos and then had a nap on one of the hammocks. Pure bliss! 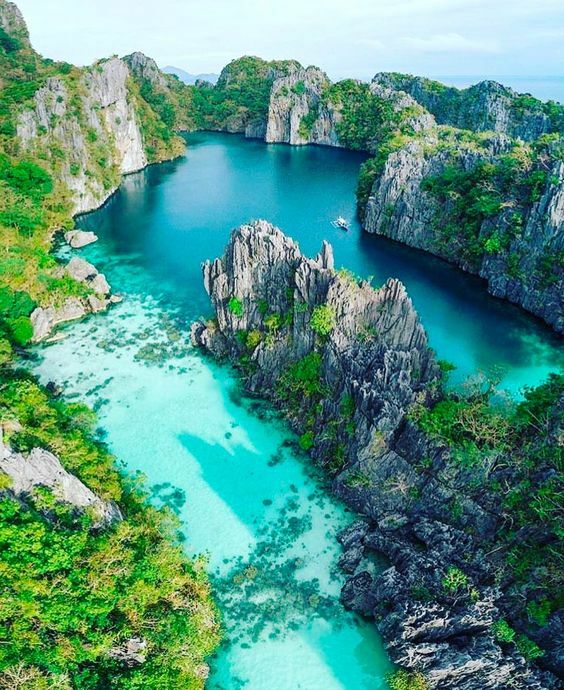 You now cross from El Nido to Coron, and another more exciting and amazing experience is waiting for you there.